I offer free, confidential, initial advice by phone or e-mail..
Or, feel free to use the contact form below. 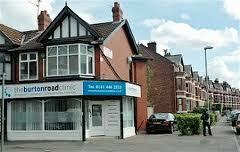 My practice is based within The Burton Road Clinic in Didsbury, South Manchester, M20. The Clinic is within easy reach of Manchester city centre, Didsbury, Withington, West Didsbury, Chorlton, Stockport, Cheadle, Fallowfield, Burnage, Levenshulme, Sale, Altringcham and Trafford. Sessions are also held at The Divine Hub in East Didsbury, Manchester M20. If you are interested in hypnobirthing sessions in Manchester please do get in touch, I’d love to hear from you.